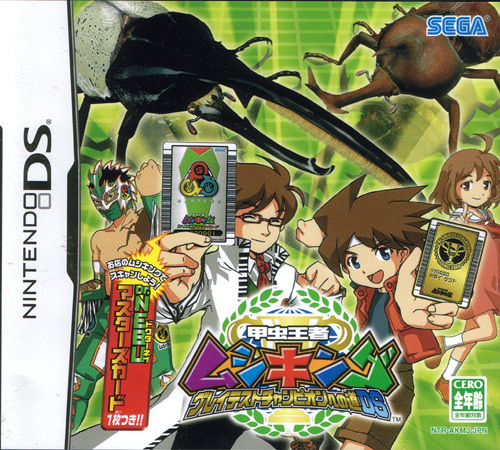 An off-beat beetle battling title from Sega in which players look after a fairly sizeable insect such as a helmet beetle. Other beetles can then be challenge to bouts with entertaining techniques and secret specials used to take down the rival bug. 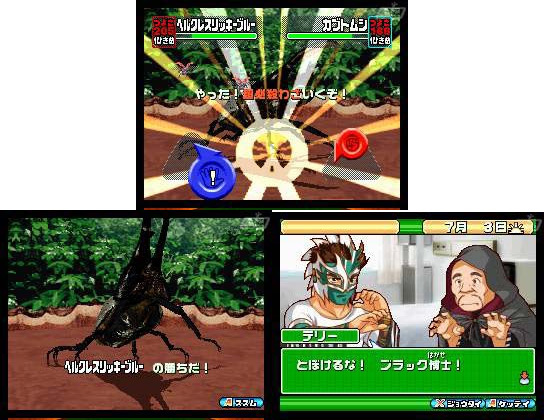 Although insect collecting is more acceptable in Japan, this sort of game could see the phenomena spread. 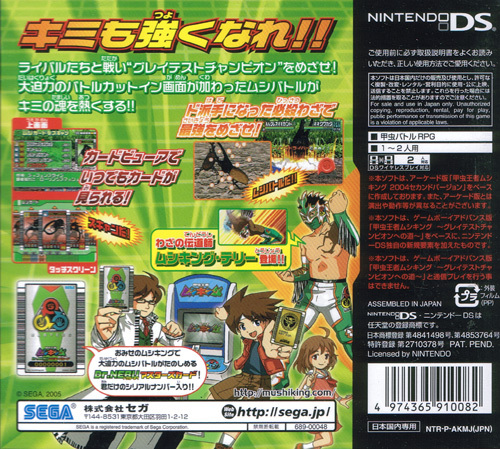 Known in Japan by its full title of Kouchuu Ouja Mushi King Greatest Champion e no Michi DS.